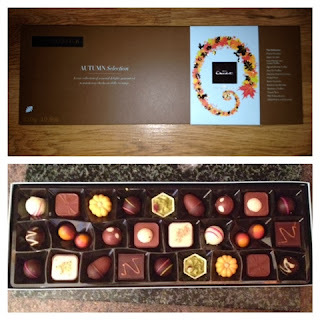 Life with Liv: Hotel Chocolat Autumn Sleekster collection review. 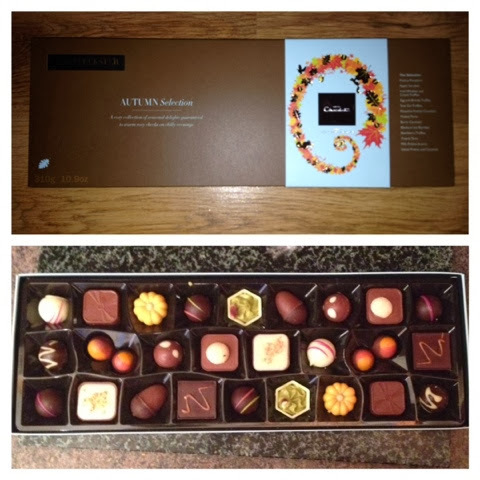 Hotel Chocolat Autumn Sleekster collection review. We have been faced with the terribly hard job of reviewing some gorgeous Hotel Chocolats Autumn Sleekster Selection this month, it's a hard life! This is the box, aren't they just beautiful? They each have so much lovely detail on them, one is even shaped like a pumpkin! Almost too beautiful to eat. 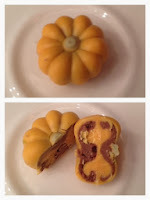 The Hubbys favourite was a super cute pumpkin filled with smooth hazelnut praline. My favourite was this Pistachio praline with cherry pieces and a hint of rose, crowned with a whole pistachio nut. As always they were not only beautiful to look at but most importantly divine to eat! Some of the other choices from this box are, Sloe Gin Truffles, Apple Strudels, Mulled Ports and Egg and Brandy Truffles. 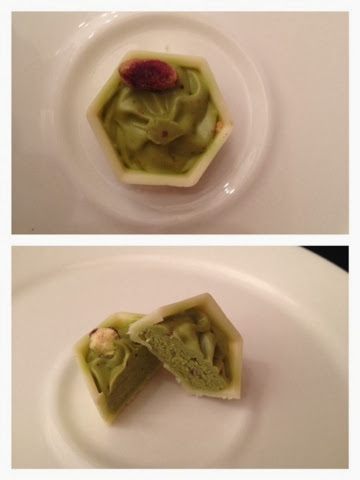 Each image on the menu clearly states if the pictured chocolate contains alcohol, egg or gluten. "We have a strong ingredients philosophy to only use wholesome, real ingredients and our overall mantra is More Cocoa, Less Sugar. We genuinely loved this selection, in fact it was our favourite Hotel Chocolat offering so far. I would without doubt recommend these to Family and Friends and will definitely be buying one or two as gifts this year. Disclaimer - we were sent this box of chocolates for the purpose of the review, however all opinion is my own.